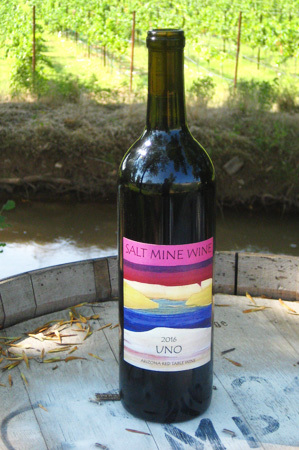 In 2015, Salt Mine Wine produced our first limited production vintages of Arizona wine. 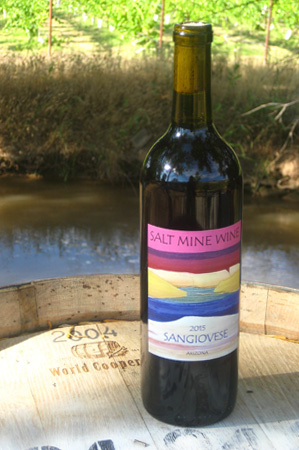 77 cases of Sangiovese and 59 cases of Malvasia Bianca were produced in Camp Verde with grapes sourced from Buhl Memorial Vineyard located in the Kansas Settlement near Wilcox, Arizona. 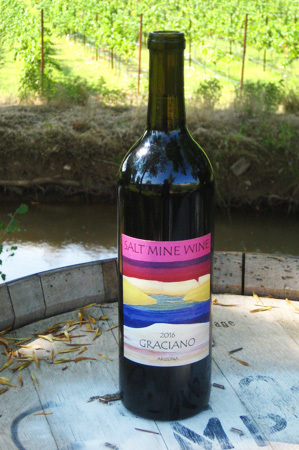 In 2016, we produced 70 cases of Graciano using grapes sourced from Juan Alba Vineyard, Kansas Settlement, Arizona. 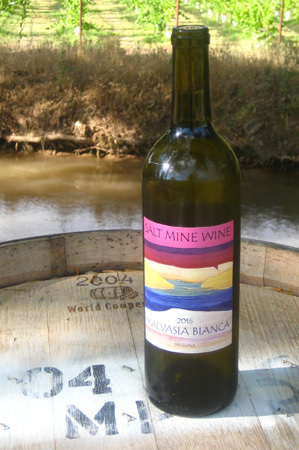 Additionally, we produced 73 cases of Malvasia Bianca and 25 cases of Uno, a blend of Tempranillo and Syrah, using grapes sourced from Rolling View Vineyard, Kansas Settlement, AZ. 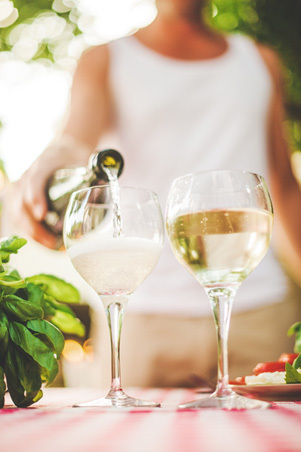 At the current time, the best way to buy our limited production wines is to visit us on Saturday between 12:00 p.m. and 6:00 p.m. or contact us by phone or email.